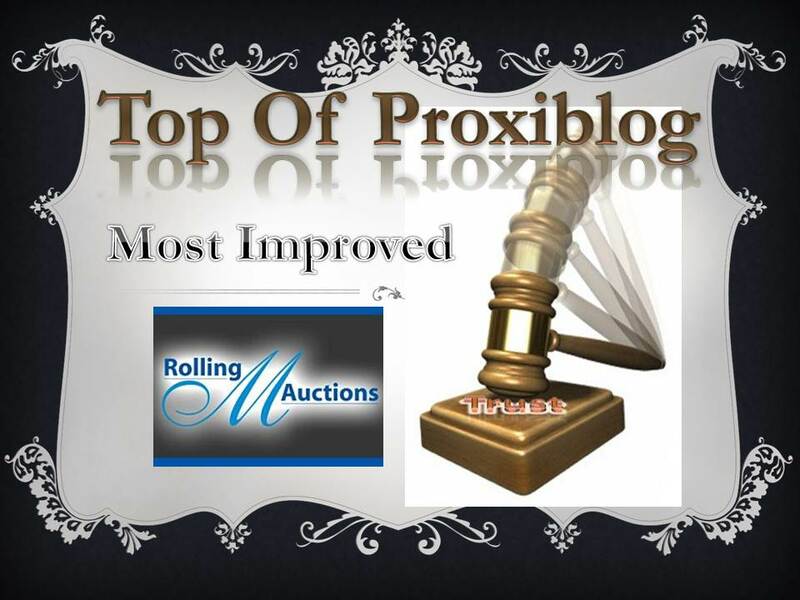 Rolling M Auction, an Ohio house, has been named “most improved” on Proxiblog, with owner Mark Murphy securing ever stronger consignments and improving photos and descriptions (with a little more to go on both). Rolling M Auction won the award over four close Honorable Mentions, named later in this post. Rolling M was an honorable mention in this category in 2012, as was Meares Auction Group. Last year’s winner was Key Date Coins and owner Eddie Caven whose house continues to make strides in part, as Eddie mentioned last year, due to the recognition of Proxiblog. Watch for more on Key Date in upcoming awards. 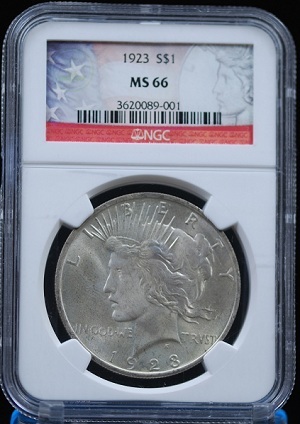 The MS66 NGC grade is an indicator of the kinds of consignments Rolling M is offering. Rolling M marketing efforts are superlative, including brochures mailed to previous bidders in addition to email blasts and other advertising. In this respect, his consignors must be truly happy with his promotions as they bring in both onsite and online bidders. 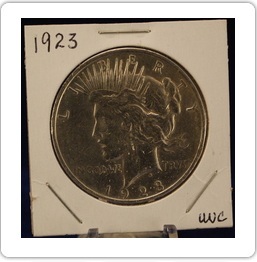 However, if Mark Murphy is to follow the same trajectory as Eddie Caven, he needs to continue improving photography (he’s having trouble capturing luster and details like VAM-like varieties) and should spend more time identifying flaws in coins in his descriptions (he catches what he can but misses some, too). With more effort in both categories, Rolling M would be in contention next year for an overall top coin auction on Proxibid. We applaud Mark Murphy in winning this award. As mentioned previously, he had stiff competition from our Honorable Mention houses in this category, which include Back to the Past Collectibles, Engstrom Auctions, Liberty Shops Auction and Meares Auction Group–all with zero to low buyer’s premiums and excellent customer service. This entry was posted in TOP Awards and tagged American Numismatic Association, Auctioneers, AuctionZip, Back to the Past Collectibles, Best Practices, Coin Auction, Eddie Caven, Engstrom Auctions, iCollector, Key Date Coins, Liberty Shops Auction, Meares Auction Group, National Auctioneer Association, Proxibid, Proxiblog, Rolling M. Bookmark the permalink.